Location: The easiest access point is the corner of Pinecrest Drive and Bowring Drive in Altadena. 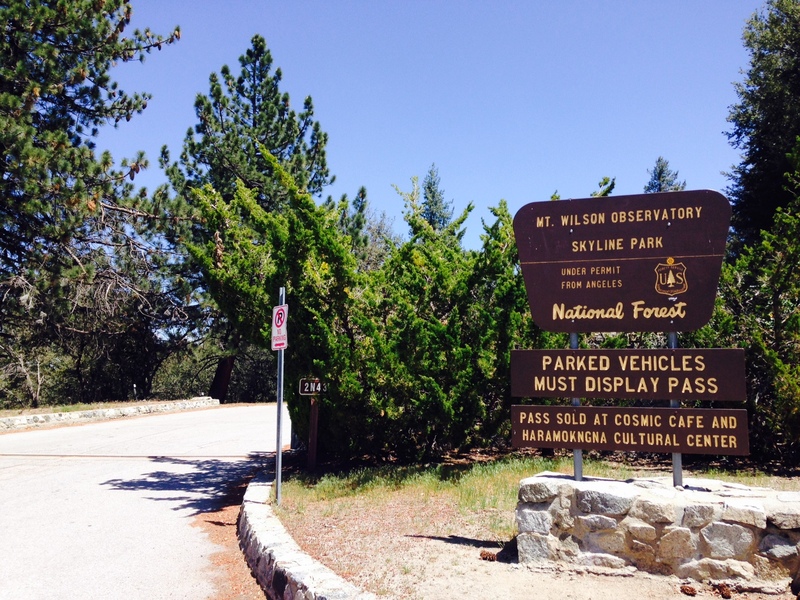 No parking is allowed on weekends in the immediate vicinity of the access gate at 2260 Pinecrest Drive and it is limited to 2 hours during the weekdays, which is not nearly enough time to complete an 18-mile hike. From the west, take I-210 to Altadena Drive. 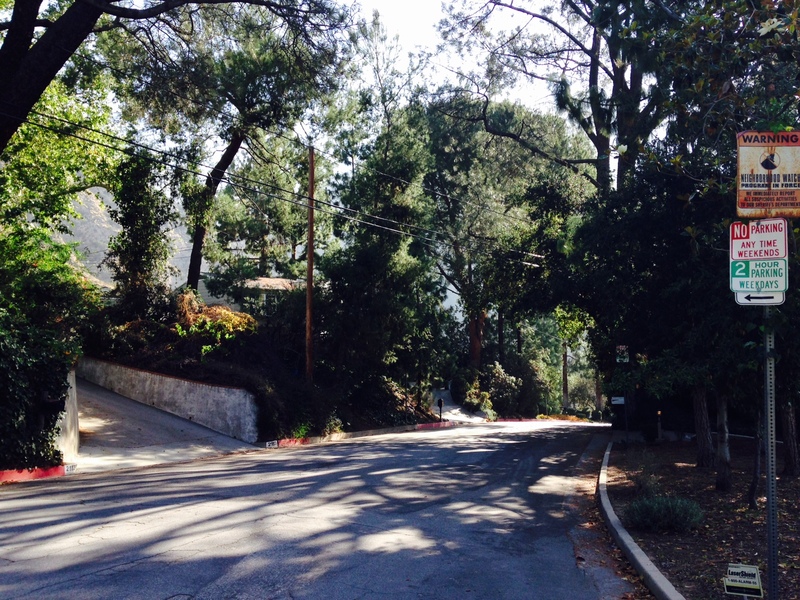 Turn left and head north on Altadena Drive for 2.7 miles and turn right on Crescent Drive. Go 0.1 miles and make a slight left on to Pinecrest/Crescent Drive, then a quick right onto Bowring. Park where available near the corner of Bowring and Pinecrest, paying attention to posted restrictions. From points east, take I-210 to Sierra Madre Blvd. Merge onto Maple, go 0.3 miles and turn right onto Altadena Drive and follow the directions above. The Mt. Wilson Toll Road was built to transport gear to the observatory on the summit. It operated from 1891 to 1936, by which time it was rendered obsolete by the newly opened Angeles Crest Highway. The roadbed still exists, climbing nine miles from Altadena to Mt. Wilson. Just under a third of the distance is Henninger Flats, a popular destination for camping and as a moderately strenuous day hike. Hikers who want more of a challenge however can set aside a whole day and climb the road in its entirety. 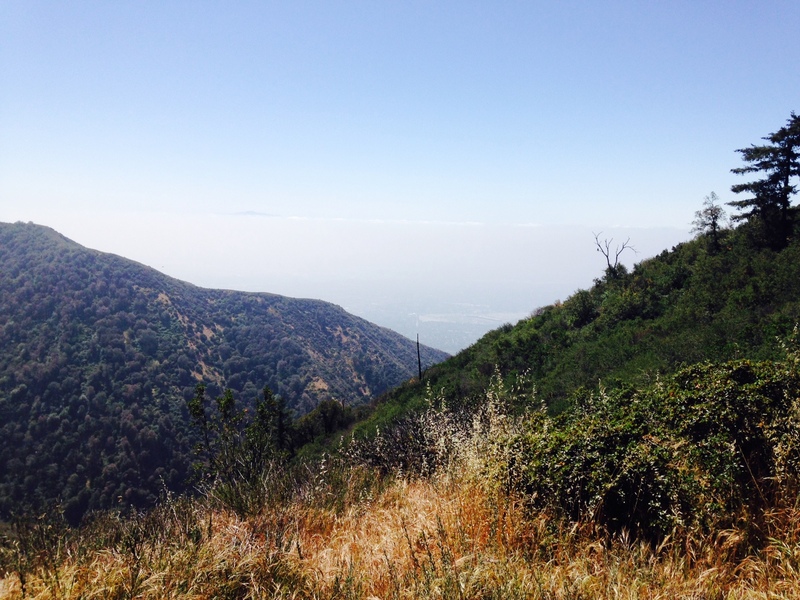 Compared to the routes from Sierra Madre and Chantry Flats, the fire road might seem a little monotonous at times, but it does take in excellent views of the L.A. basin (pending good visibility) and of the San Gabriel front country. Additionally, the ease of navigation and lack of steep stretches or difficult terrain make it a good training hike. If you visit on a weekend between April and November, you can have lunch at the Cosmic Cafe atop Mt. Wilson, where there are also full-service restrooms and a water bottle filling station. Additionally, water is USUALLY available at Henninger Flats. This enables hikers to not have to carry as much water and food as they might on other hikes of this level, making things a little easier. The easiest starting point is from the corner of Bowring and Pinecrest. 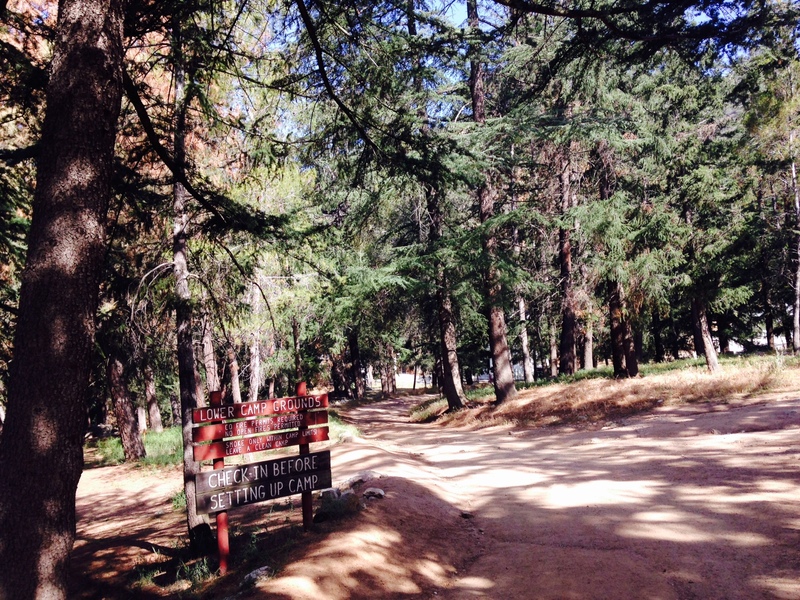 Follow Pinecrest to a gate on the left side of the road which allows access to the upper end of the Eaton Canyon Natural Area. (Note that the gate closes daily at sunset; if you arrive after it is locked, you’ll need to hike down to the nature center entrance and back up Altadena Drive and Pinecrest, adding about two miles.) Descend to a bridge crossing Eaton Canyon and then follow it up 2.7 steadily ascending miles to Henninger Flats. The trail is exposed, but if you get off to an early start, the ridges will likely block out much of the sun. For more details on the trip to Henninger Flats, click here. 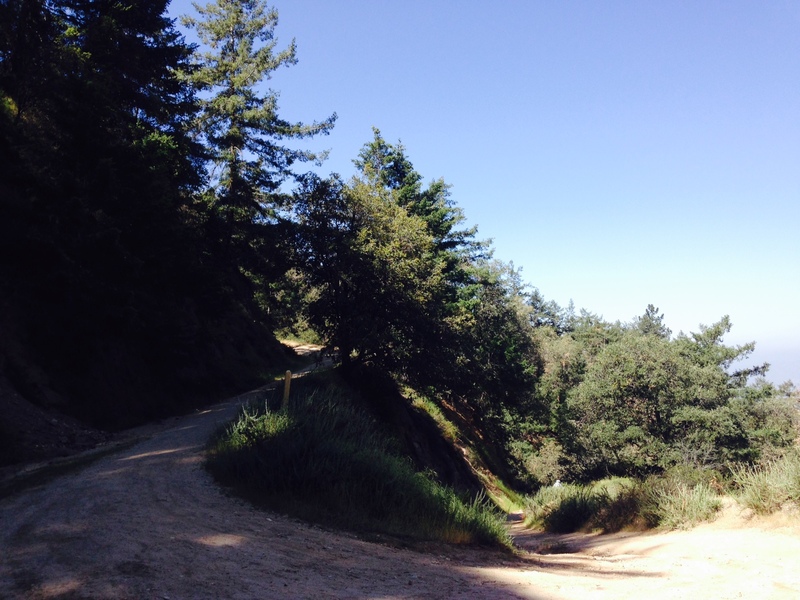 Above Henninger, you pass a turnoff for a heliport and the trail bends east, heading into an attractive oak woodland. At 4 miles, you reach an unsigned junction with the Idlehour Trail. The road continues through the woods before emerging at a saddle, where a bench beneath an oak provides good views to the southeast. This is the approximate halfway point. The trail bends north to cross the saddle with views of San Gabriel Peak and Mt. Lowe to the northwest. On the north side of the saddle, you get a distinct view of the antennas atop Wilson. This may be an encouraging sight, but your work is far from over. After crossing a shaded, north-facing slope, you begin a morale-testing stretch as the trail ascends steadily on an exposed south-facing slope. The good news is that you have more panoramic views of the L.A. basin. 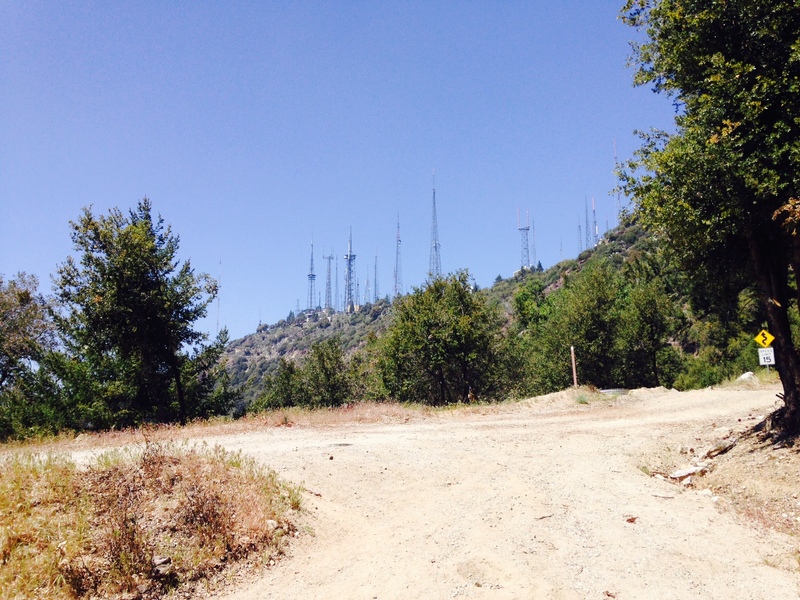 The road then dips back into a wooded area, reaching a junction with the trail from Sierra Madre (7.3 miles). An attractive grove of black oaks makes for a nice resting spot here. When ready, continue north to a saddle between Mt. Wilson and Mt. Harvard. If you want to cut off about half a mile, take the single-track branching off to the right; otherwise continue on the toll road, making one final harpin turn before reaching the upper end, amidst an antenna farm. Bear right into Mt. Wilson Road into Skyline Park where you can enjoy some great views from the large parking lot and perhaps grab a bite if the Cosmic Cafe is open. 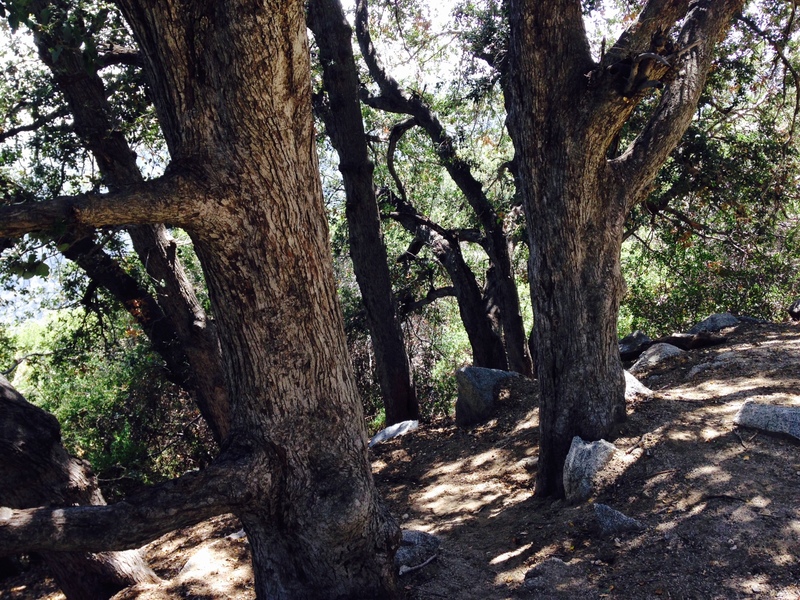 After enjoying the view and resting, retrace your steps back to Altadena. 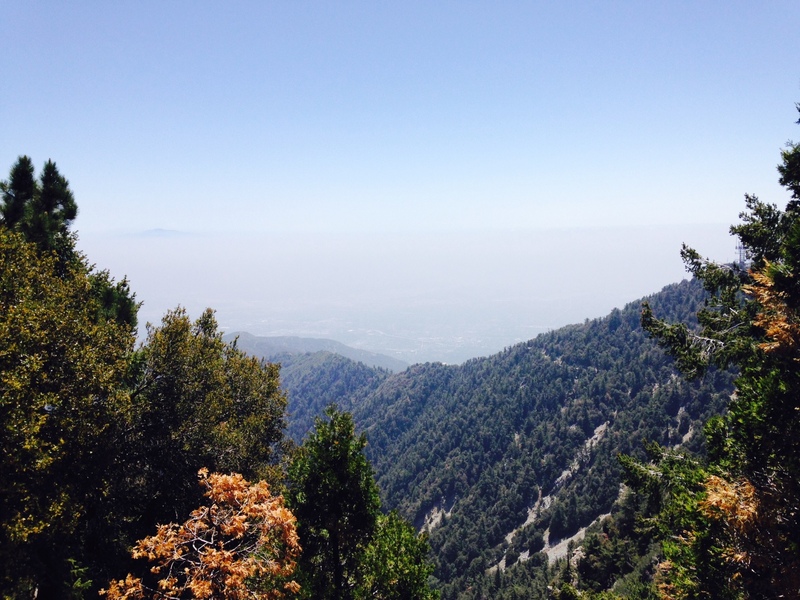 If you have arranged for a car shuttle, you can make this a one-way trip; you can also plan to have a car waiting for you at the Sierra Madre or Chantry Flats trail heads if you want to take a different route down. The gate at Pinecrest has been removed. Hikers can no longer be locked in or out. Much safer this way.